Home Option Personal Care's services are part of a rapidly growing national trend. Our services allow people needing care the choice of receiving help at home or in a retirement community rather than living in an institution. Some of our services include: companionship, supervision, bathing, and dressing, and toileting, meal preparation, monitoring medications, laundry, light housekeeping, incontinence care, shopping, errands, transportation and 24-hour phone support. Although most home care is provided by family, friends or volunteers, there is a growing trend in Utah to hire paid individuals or professionals to provide this care in the home. The hiring of care is prompted by a growing trend for traditional caregivers to be employed full-time and unable to offer much help or for family to live hundreds of miles away from the loved one and find it difficult to offer hands-on long-distance care. 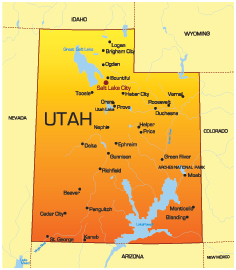 These providers represent a rapidly growing trend in Utah to allow people needing help with long term care to remain in their home or in the community instead of going to a care facility.